As our loved ones grow older, considering aged care is often a necessity. While there are seniors who are able to live in their homes with some assistance or without, many elderly will need residential aged care. With such care comes an array of fantastic, and in some cases, potentially life-saving benefits. Let’s explore each one. Did you know that socialising may be as essential as physical activity when it comes to seniors’ wellbeing? That’s because socialisation can improve mood and quality of life, support brain health and slow memory loss. From playing a game of cards with others to enjoying lunch and great conversation, socialising is vital. 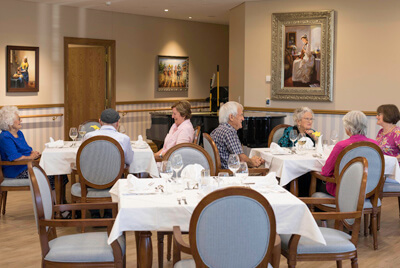 Older Australians dwelling in a residential aged care community can enjoy seemingly endless opportunities to stay connected to others. With age comes an array of health concerns. One of the most significant benefits of living in a residential aged care community is having access to high-quality, specialised care on the premises. With nurses on staff and transport available from the communities to area doctors, your loved ones can get the healthcare they need, when they need it. As a resident of an aged care community, your family member will have ample opportunities to stay engaged through a variety of activities. These include outings, games, shows, library visits and other types of stimulation. Having these or other positive activities to look forward to can go a long way towards boosting your loved one’s mood and outlook on life. Seniors who live at home may not have access to such activities, particularly if they don’t have transportation or family members nearby. Seniors who live alone are at risk for not getting the essential nutrients and calories they need to stay healthy and maintain an ideal weight. They may eat very little or eat too many treats and other unhealthy foods. Conversely, those who live in a residential aged care community can enjoy healthy, diet-specific meals prepared by highly experienced chefs. Unfortunately, slips and falls are all too common among the elderly. From falling trying to get in or out of the bathtub to slipping on an area rug, seniors often fall due to impaired vision or a decline in physical health. 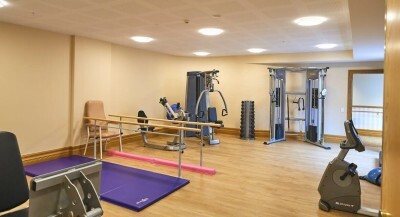 As a result of falls, they often require hospitalisations due to hip fractures and other serious injuries. Seniors who live alone are particularly at risk as they may not be able to get medical treatment straightaway. On the other hand, seniors who live in a residential aged care facility not only can enjoy dwelling in a safe community but also have the assurance that, if an emergency arises, they will receive prompt care. By living in a residential aged care community, seniors can take advantage of a broad range of services. 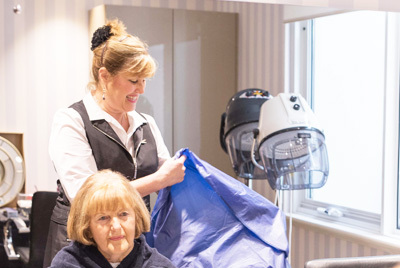 From getting their hair cut to having their room thoroughly cleaned to accessing transportation to the doctor’s office or shopping, they have services that improve their quality of life. Those who live alone may not be able to obtain such services due to lack of transportation or family members living nearby. According to Alzheimer’s Australia, more than 400,000 people in Australia are living with dementia. Defined as the gradual deterioration of mental functioning, such as decision-making, judgment, memory and concentration, dementia affects a person’s ability to perform normal daily activities. Dementia mainly occurs in people over the age of 65, with the incidence of the disease increasing with age. Seniors with dementia who live in aged care communities are able to live in a safe and secure environment with 24/7 supervision and structured activities within their daily routine. They also can receive assistance with many of the normal activities of daily living, such as bathing, meals and managing medication. One of the greatest benefits of residential aged care is the priceless peace of mind knowing that your loved one is in good hands. If you are considering a residential aged care community for your family member, you want to consider things like reputation, access to quality healthcare, location, food quality, security and more.